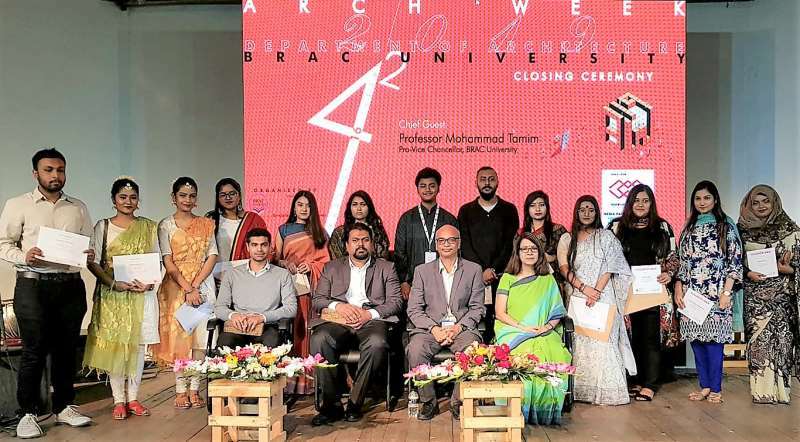 In celebration of the 16 years anniversary of the Department of Architecture at BRAC University, the department, along with Bangladesh Shilpakala Academy, arranged “Architecture Week 2019” event from 15th to 20th February, 2019. The event was followed by different lecture series, exhibition and a daylong Design Charrette [Design Competition] for all architecture students throughout the country. 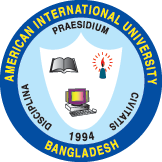 71 architecture students from AIUB, AUST, BRACU, BUET, NSU, SUB, UAP, SEU took part. The jury was led by an invited jury panel consisting of eminent architects from academia & profession - Ar. Mahmudul Anwar Riyaad, Ar. Mohammed Emran Hossain, Ar. Nefsun Nahar Nipa. Students from the Department of Architecture, American International University-Bangladesh (AIUB), took part in the Charrette. Towfika Islam, a fourth year student was awarded third prize for her entry. Her project was highly commended by the jurors for the innovative approach and the idea titled “Window – Not only a Punch or Void”. We congratulate Towfika Islam on this magnificent achievement and would like to encourage other students to explore their talent both at national and international level. We take immense pride on this achievement and regular recognitions like these in national & international level for our architecture students of course is a confirmation about the quality of education provided here.